Nina Hansen is the designer behind Designer by Heart. Nina's work is fresh and modern. She is known for producing creative, colorful, and eye-catching patterns. 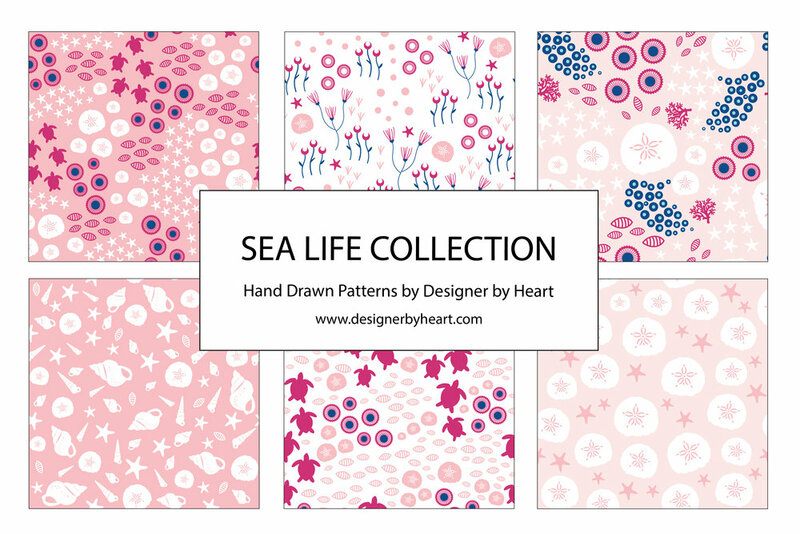 Here is the new SEA LIFE collection. It consists of six designs for girls, and six designs for boys. Based upon life on the ocean floor, the girls' collection includes sea turtles, sand dollars, starfish, shells, and coral. The boys' designs contain cute and happy animals of the sea, including whales, seahorses, and jellyfish. Nina is most recognized for her cute and colorful designs. To purchase any of the designs please visit her shop.